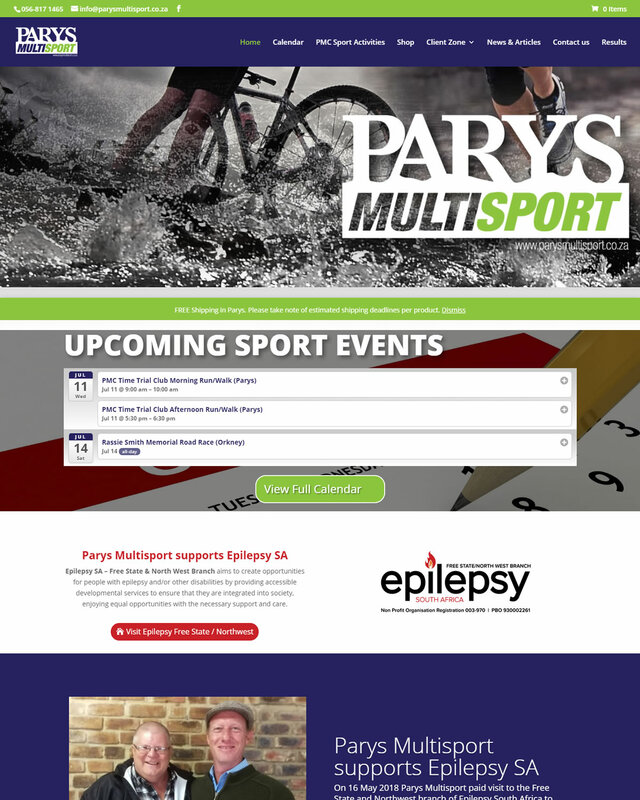 PARYS MULTISPORT (PTY) LTD was founded in April 2018, serving the sport community in Parys and surrounding areas. This multi-sport club website was built on the WordPress CMS platform and include a fully functional e-commerce store with payment processing, blogging capabilities for news and articles, upcoming events calendar and a ticket sales application that integrates with the existing shopping cart through which they can sell tickets to various events. 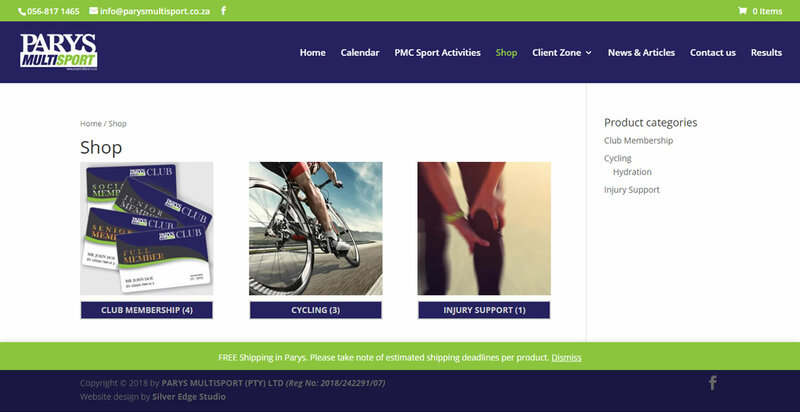 SES WEB also designed the logo for PARYS MULTISPORT, combining the rich natural landscape that consists of the majestic Vaal River and challenging hills sculpted by the Vredefort Dome meteor impact. An Antique font was used for the name to retain the rich history and heritage of the area, combined with a modern concept that enables athletes to compete in many sport disciplines through a single club membership.